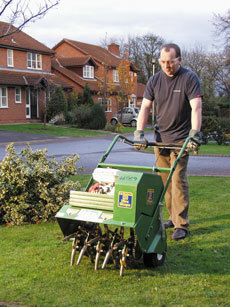 Aeration is the key to achieving a fine turfed finish. This self-propelled aerator is available with solid tynes. It relieves compaction, improves drainage and reduces surface thatch by penetrating the soil.